Where do four out of five fairy godmothers shop for groceries? At the Fairytale Market, of course—where a certain trio of famous pigs sell garden-variety produce along with items of a more enchanted sort: magic bean stew, glow-in-the-dark breadcrumbs and poison apples, to name a few. 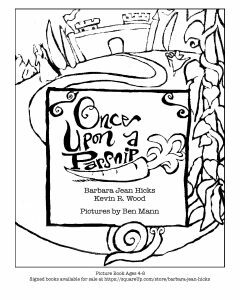 When Little Red and old Bully Wolf walk through the doors of this marvelous market just minutes apart—Little Red needing parsnips for Granny Hood’s lunch, Mr. Wolf on the hunt for a three-piggy brunch—a battle of wits ensues. Will the girl in the red cape once again foil the wolf’s devious plans? Or will Mr. Wolf finally have his revenge? I hadn’t realized how many fairytales are built around food until my co-author, Kevin Wood, showed up one day at a writers’ critique group we both belonged to with an ad featuring all the foods to be found in the classic tales. We worked together to create a storyline that incorporated those foods and came up with this lively, rhyming fairytale rematch. It’s a great read-aloud, especially for a reader who loves to take on the voices of different characters. In addition, with the dialogue printed in different colored ink for each character, it’s perfect for Readers’ Theatre or an all-out theatrical production. 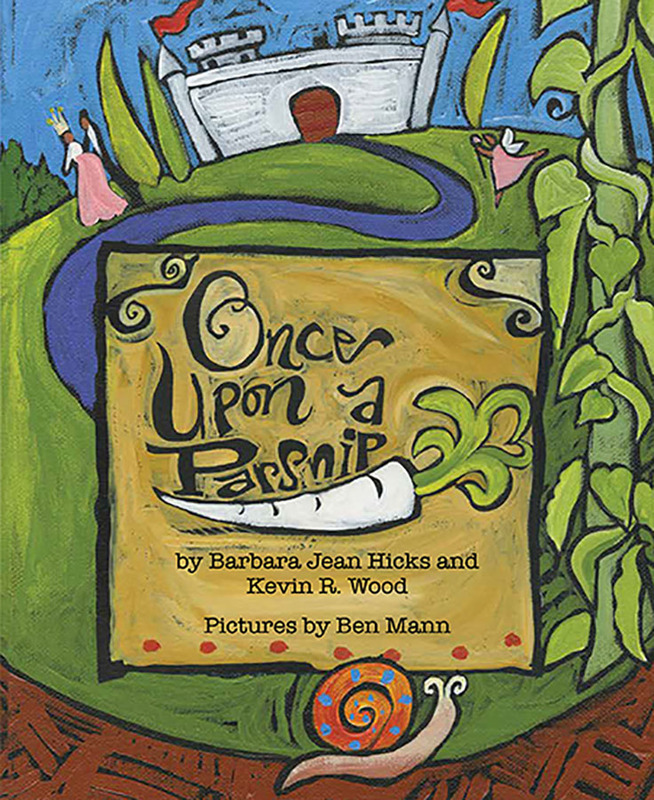 I chose contemporary folk artist Ben Mann as the illustrator for this particular project partly because I was familiar with his iconic fruit and vegetable paintings, many of which are featured in various posts on this blog as coloring pages. [See his pumpkins and pears, for example.] Art is a great way to familiarize kids with healthy foods before putting them on the table. Ben dishes up his distinctive style in this book to bring the castles, cottages and characters of Fairytale Land–as well as its foods–to vibrant life. Ages 4-8. 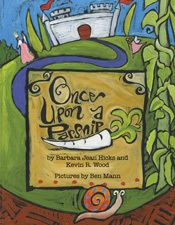 Here’s your kids’ chance to bring the cover of Once Upon a Parsnip to life on their own. Download, print and prettify! 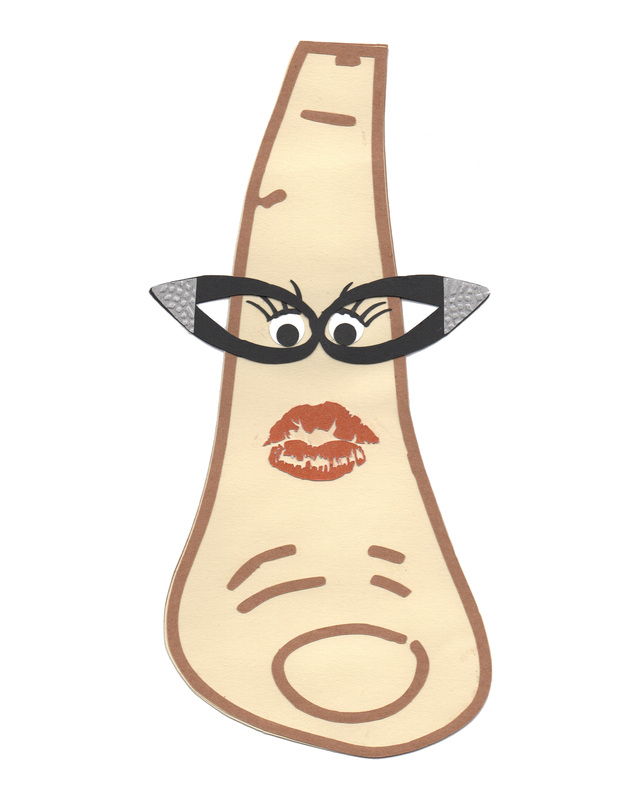 Then meet the most glamorous parsnip around, especially after your kids apply color–Penelope Parsnip, a.k.a. 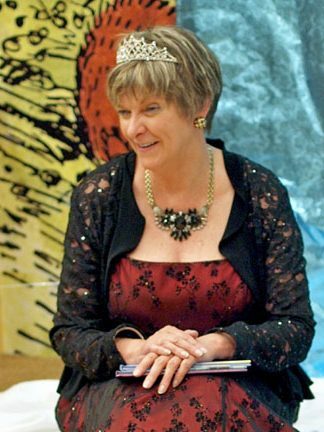 the Divine Ms. P. While the kids are coloring Fairytale Land and creating their parsnip fashion plate, here are a couple of fun things you can read to them–Penelope P: Parsnip Fashionista, for the story of how Ms. P came to be, and Par-Snippety Parsnips: Fun Facts, for 10 interesting tidbits about parsnips that your kids (and you!) probably didn’t know…. On a recent book tour, I reconnected with someone I’d known as a very young child who later attended the same college I did. Miriam Giles is a serious crafter, and after I introduced her to the Divine Ms. P and the book that inspired her she created this wonderful Paper-Doll Penelope. Download and print the figure and the dress pattern on heavy card stock. Cut out the figure and supply your kids with craft paper (wallpaper samples work great too! ), a glue stick and a pair of scissors, and let them go to town. 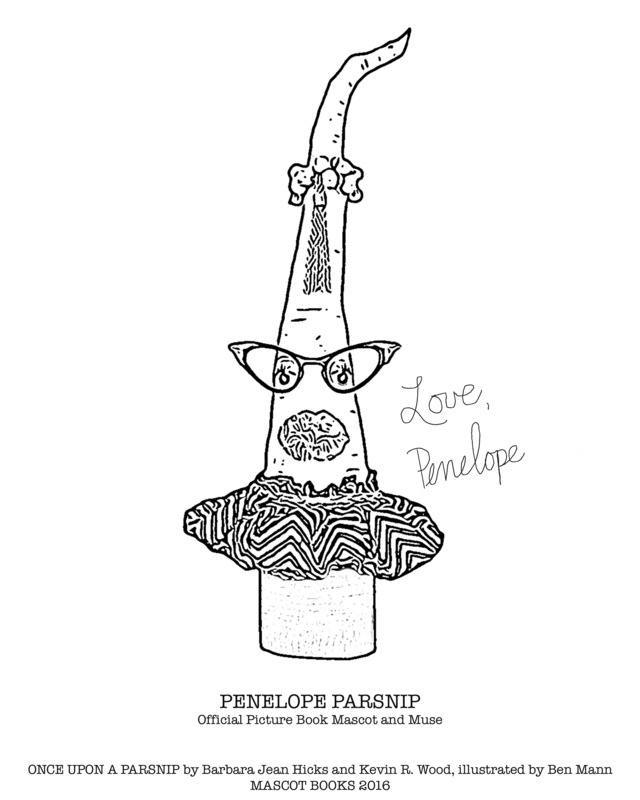 Encourage them to make Penelope the best dressed veggie in town! (Folding over the two tabs on their dress creations should keep Ms. P from any embarrassing wardrobe malfunctions, but you can also tape the tabs across the back–just in case.) 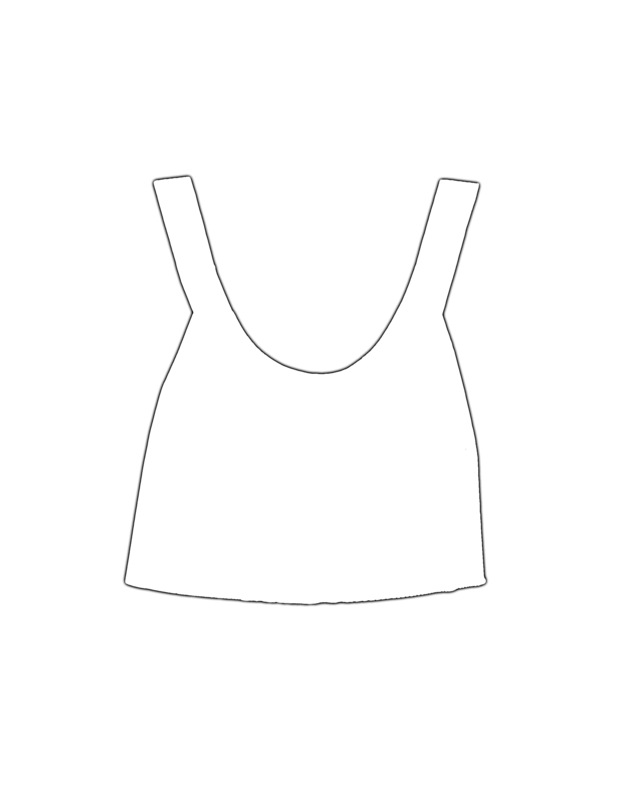 More adventurous young fashion designers can experiment with the shape of the dress to create a more diverse wardrobe for Ms. P.
Penelope Parsnip coloring page copyright 2016 by Barbara Jean Hicks. 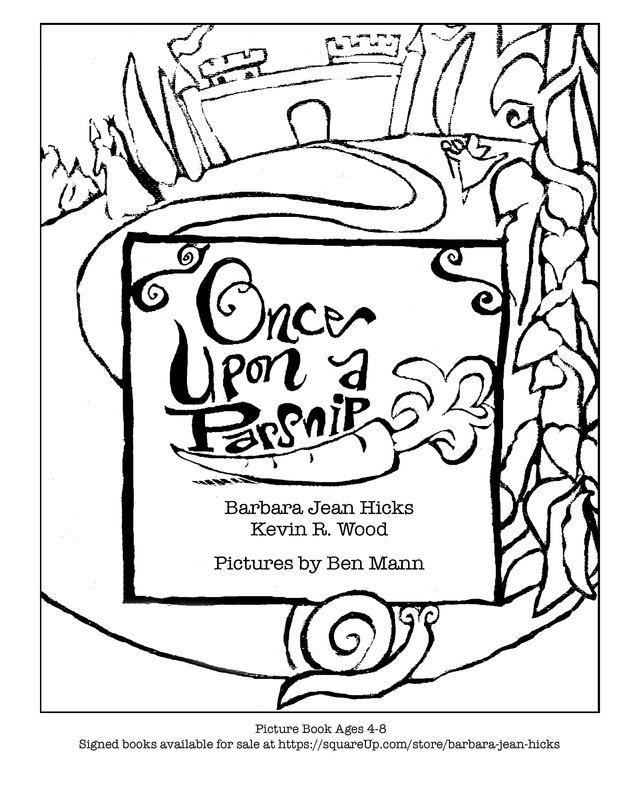 Book cover image and coloring page copyright 2016 by Ben Mann. Paper doll copyright 2016 by Miriam Giles. Images used with permission.